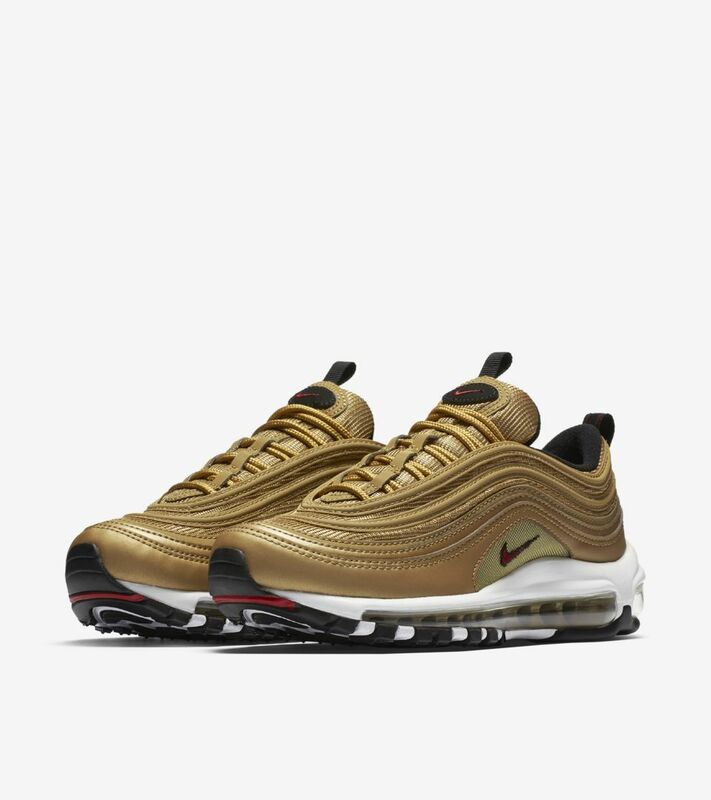 All gold everything. 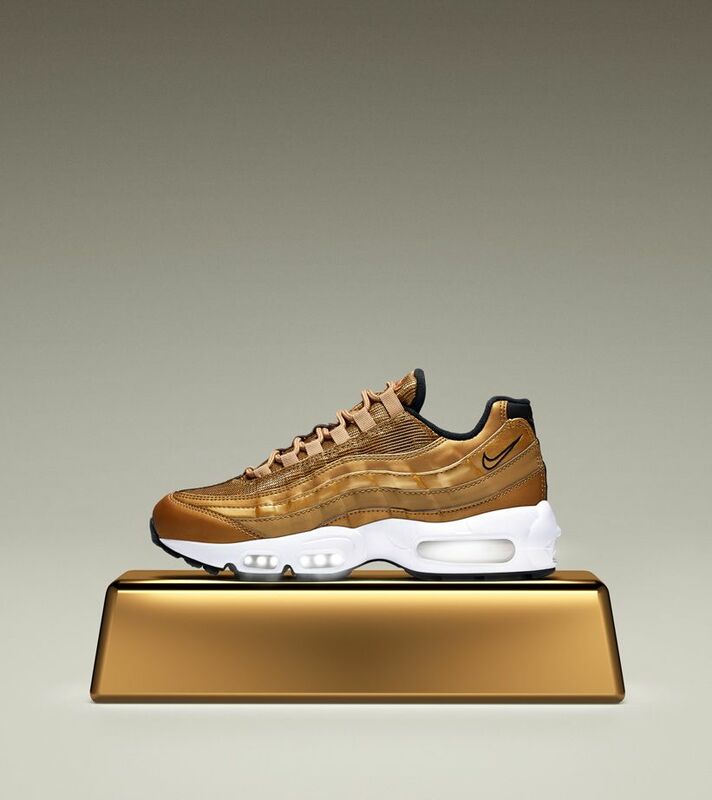 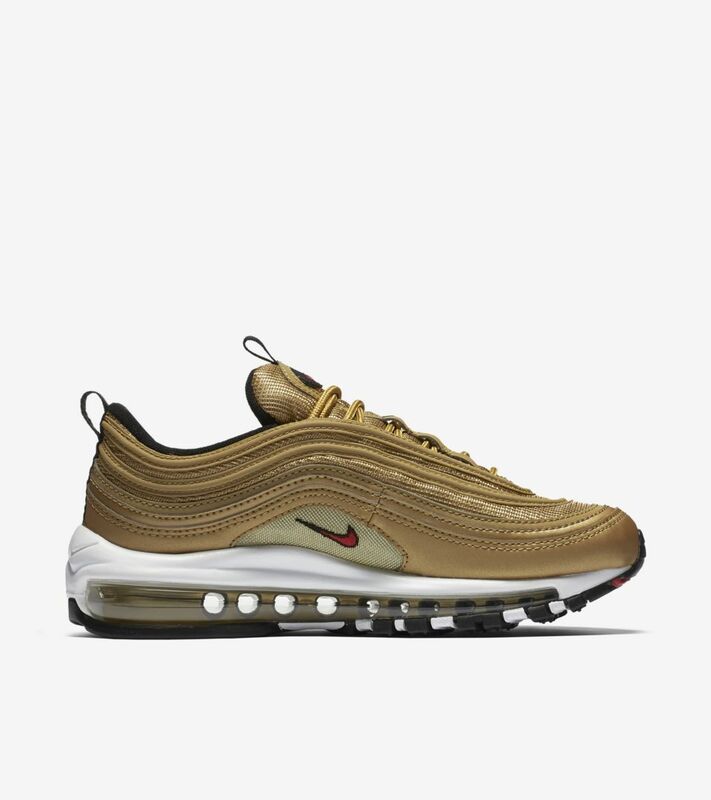 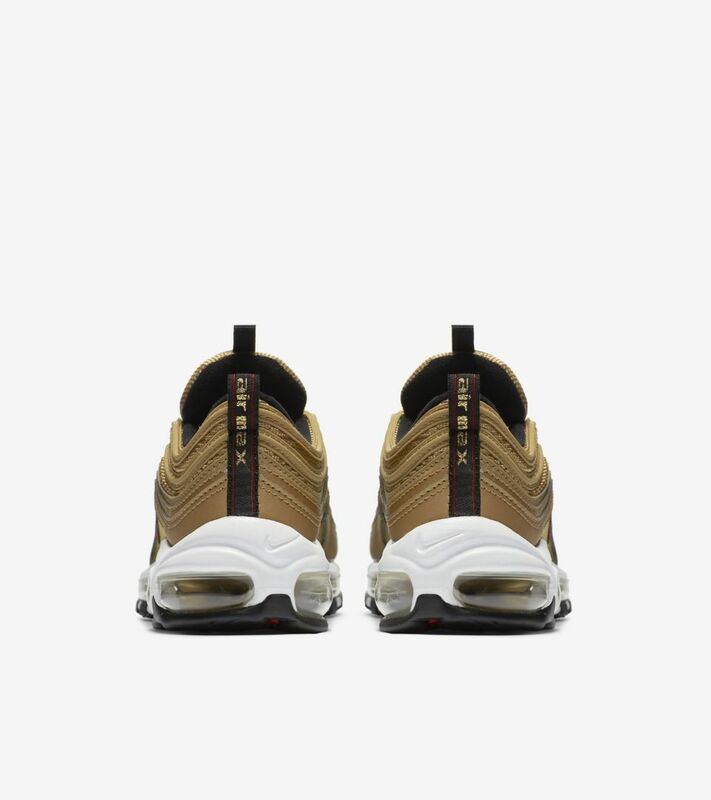 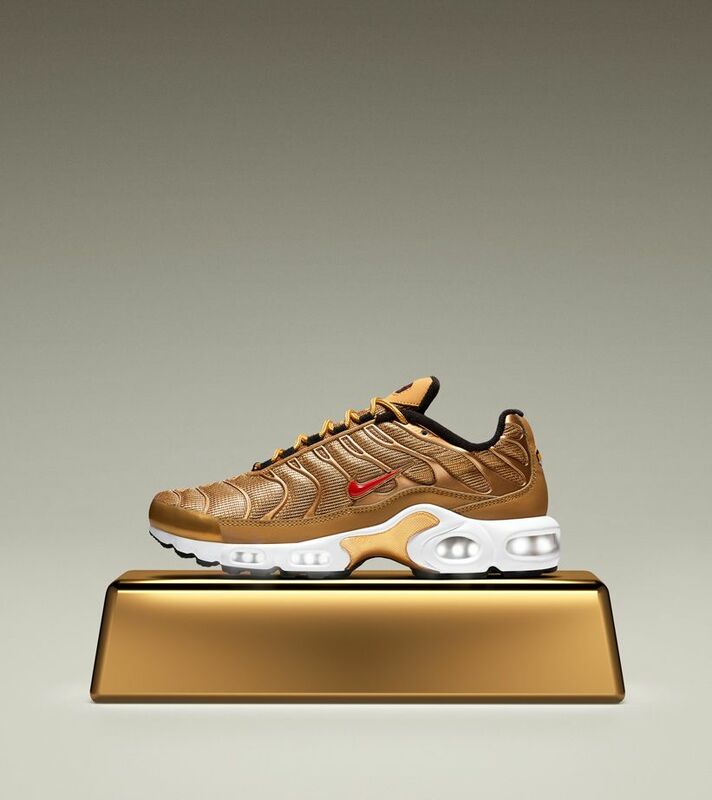 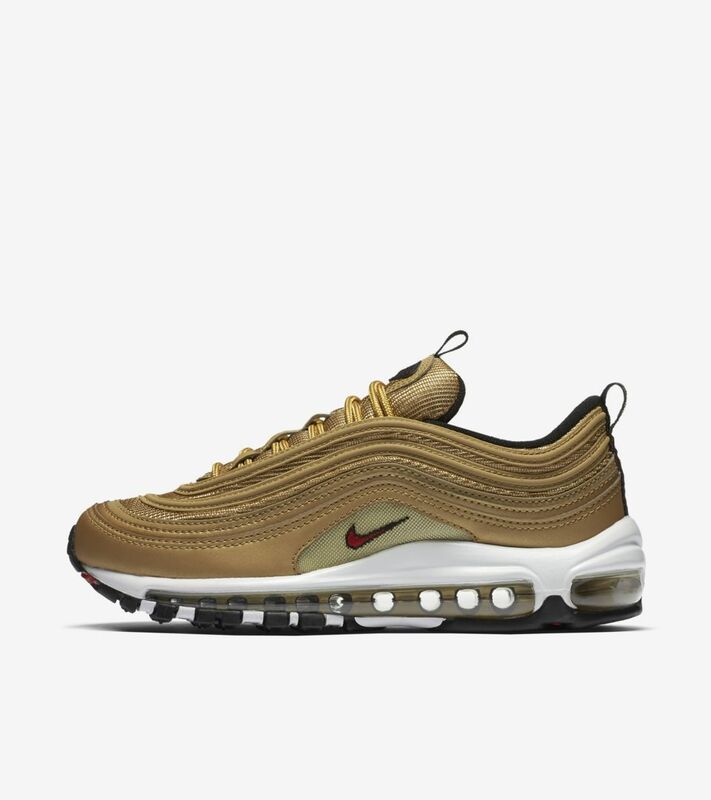 That’s the mantra and style motivation at the heart of the iconic Air Max 97 ‘Metallic Gold’ and its vivaciously versatile design. 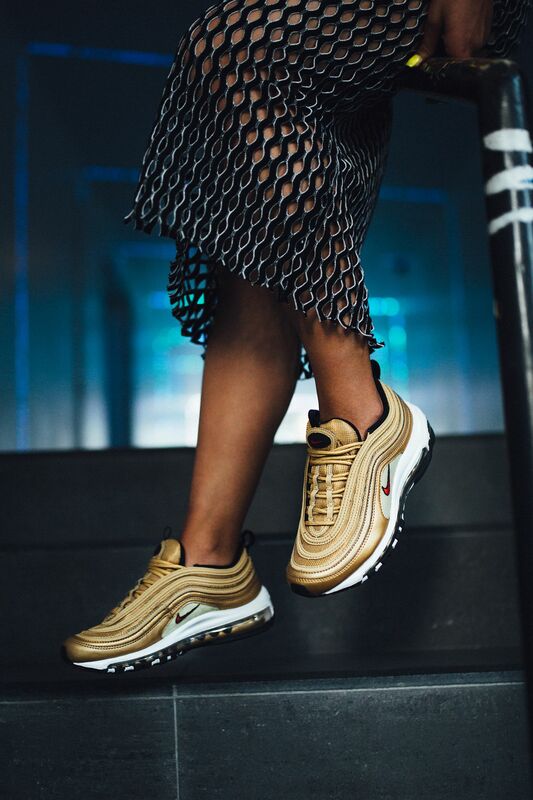 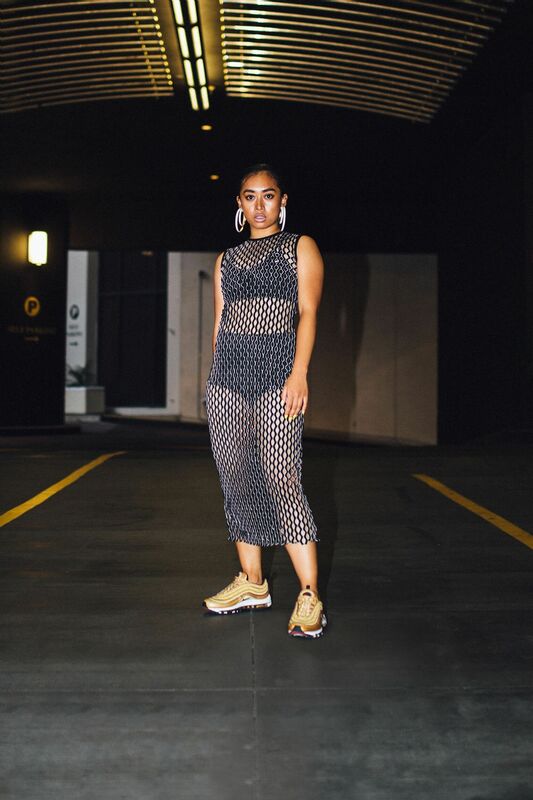 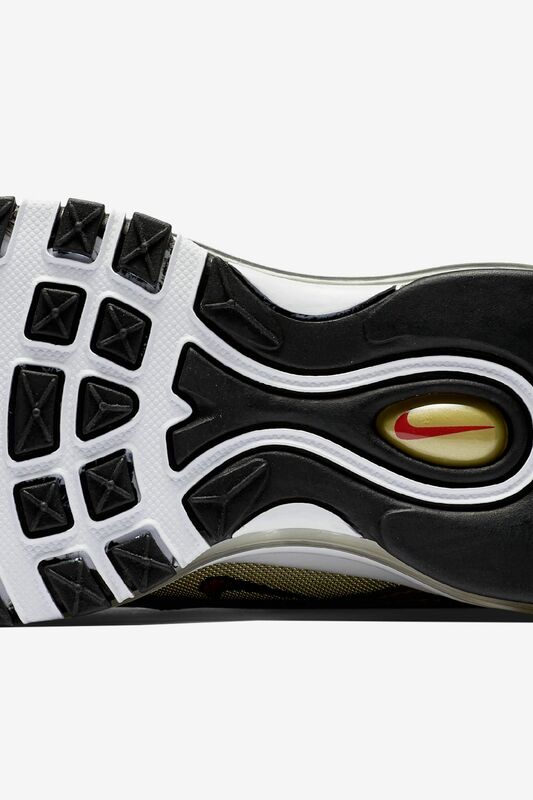 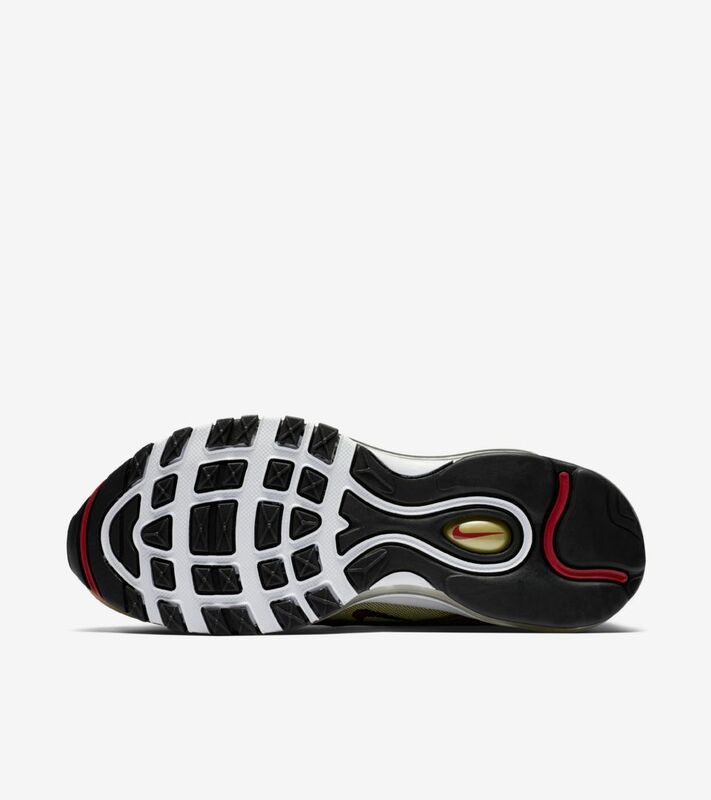 Born in the ‘90s but reborn as a still-futuristic footwear favorite, the shoe epitomizes the height of sneaker style no matter the era. 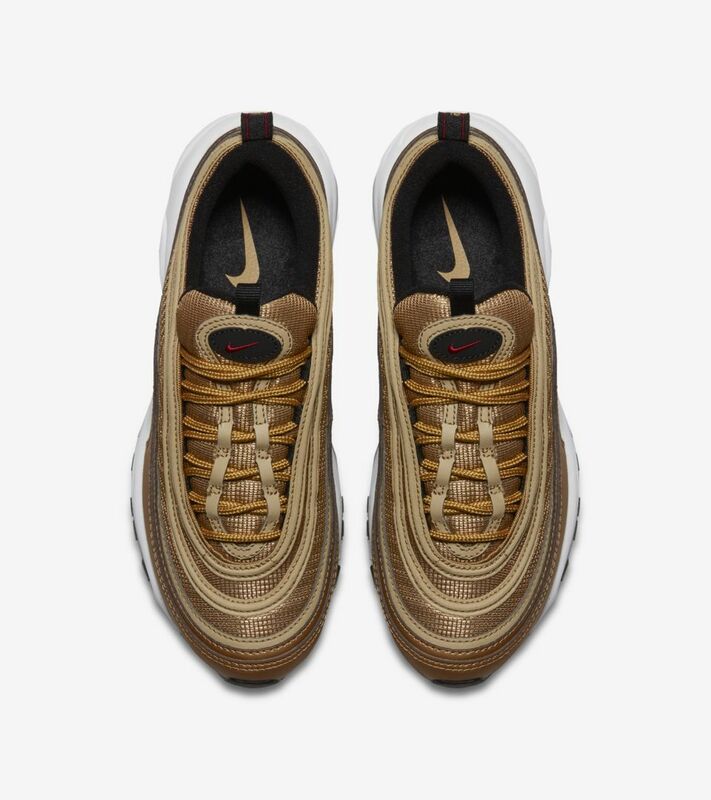 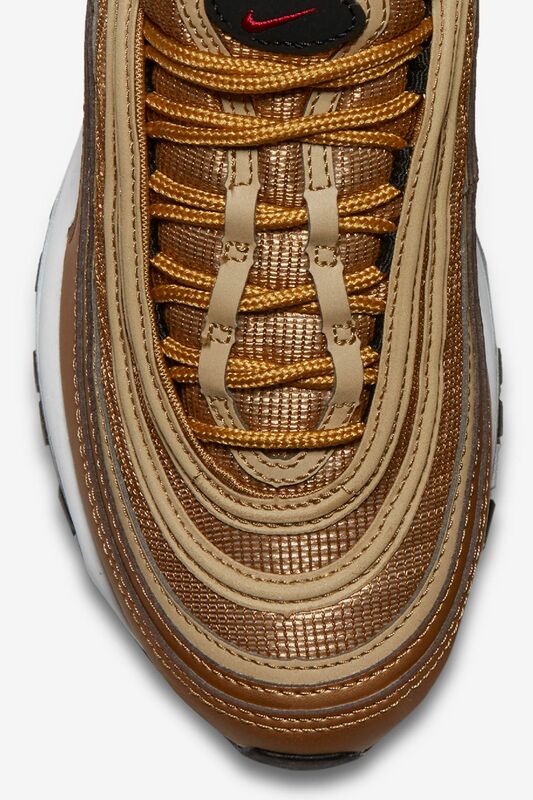 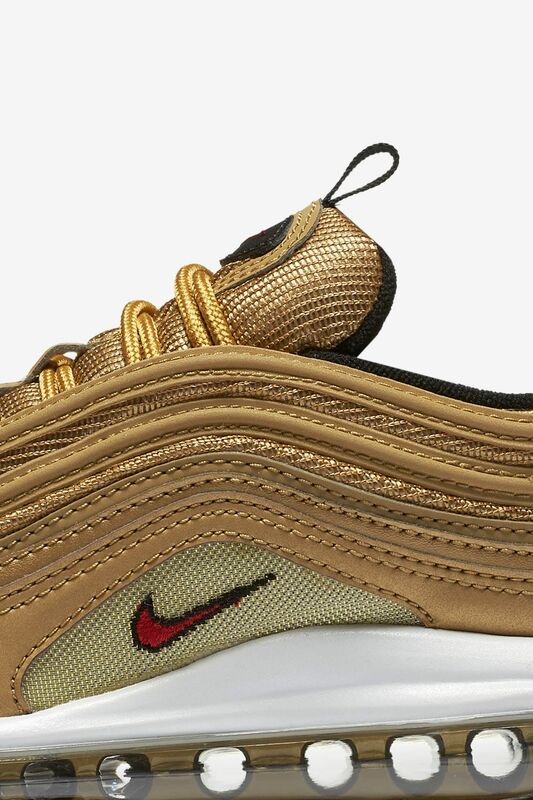 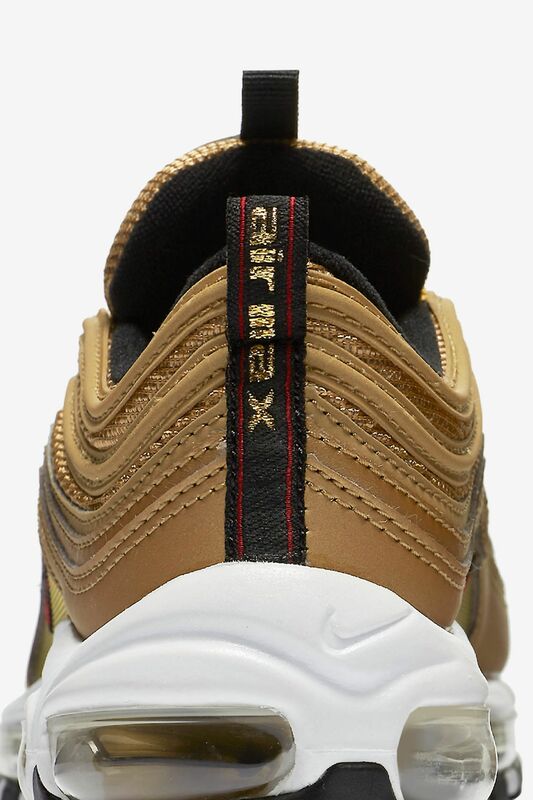 Reflective at night and unmistakably bold by day, the Air Max 97 ‘Metallic Gold’ is a must have in any current closet. 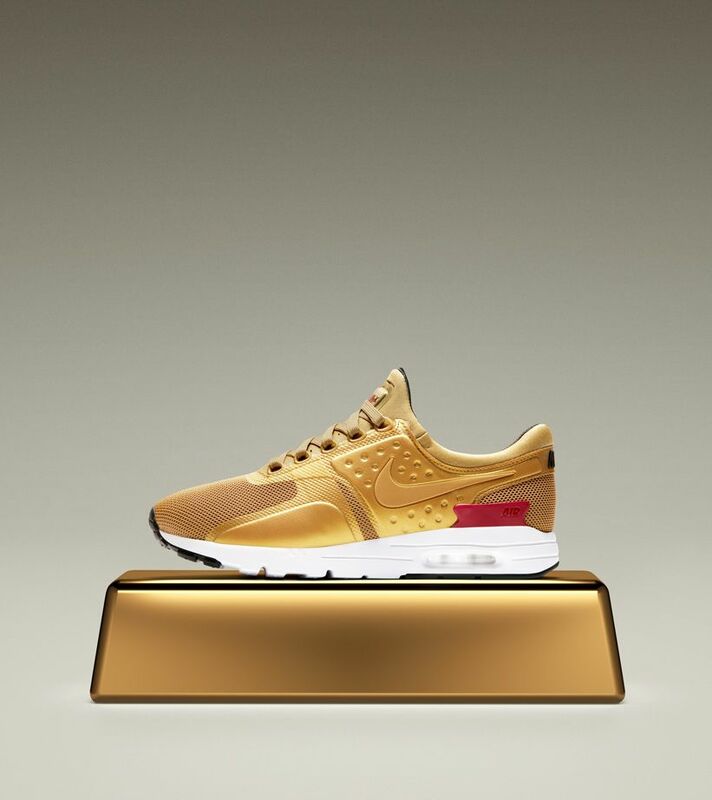 Get yours before they’re gone on 5.18.